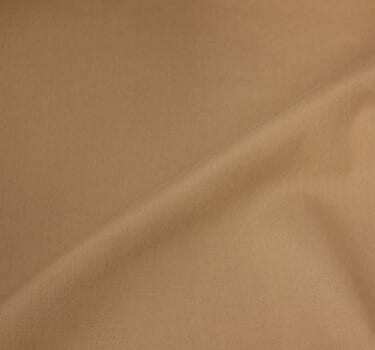 Rent Khaki Cottenesse – Cotton-Like fabric made from Spun Polyester (cottenesse). For linen sizing guide click here. *Actual color may vary due to graphic. Polyester vs Spun Polyester Cottenesse, what’s the difference? Spun Polyester is extremely durable and strong due to its molecular bonds and makes a great eco-friendly fabric for tablecloths. Both fabrics are made with 100% polyester threads, the difference is in the tightness of the weave. This tightness of the thread creates the thickness of the different fabrics. Polyester is a thinner fabric, but is more durable and less likely to wrinkle. Cottenesse is a thicker fabric, therefore is more likely to wrinkle, however it feels soft and more like cotton.